The truth is, a lot of people don’t give a whole lot of thought about their interior and exterior home lighting. While there is an endless variety of incredible options that could dramatically change the mood and ambience of your home, it’s something that, for most people, is much lower on the priority list in terms of home improvement. 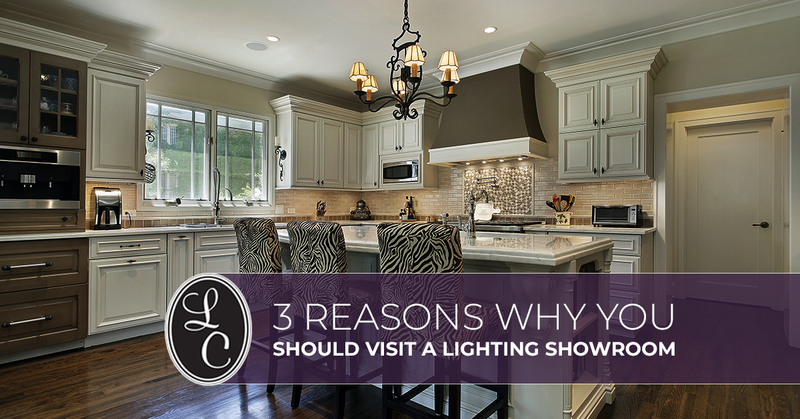 It’s not surprising, then, that most people have never been to a lighting showroom. If there’s one thing which lighting showrooms have that normal department stores don’t, it’s the sheer amount of variety. You’ll be amazed to see at how many lighting fixtures exist. You’ll see more ceiling fans than you ever knew were possible. You’ll see an endless amount of wall lighting fixtures, standalone lamps, and hanging lights. You’ll become aware of bulb technology that was previously unknown to you. The truth is that most department stores just can’t pack the variety that a showroom does, so you mainly just see the same things over and over. The reason variety is important is because it can make you aware of things that you never knew were an option for your home. Sometimes you don’t realize there’s a missing puzzle piece to your home decor until it’s sitting there right in front of your eyes. We love seeing those epiphany moments were customers realize that they’ve found a unique product that is the obvious solution to whatever their home is lacking! The other big boon of a lighting showroom is that it functions as exactly that — a showroom. Lighting showrooms are explicitly designed to show off the incredible variety of ways that you can put lighting fixtures to use. The type of lights, bulbs, and arrangements you use can have a profound impact on the atmosphere and mood of your home, so it can really help to see ideas in action. We have no doubt that you will find ideas that will benefit your interior and exterior home lighting when you walk through our showroom at Lighting Concepts. Want a preview of what your experience will be like? Click here to for a virtual walkthrough of our lighting showroom! For many home improvement gurus, lighting is lower down on the list of essential improvements, despite the fact that your lighting fixtures and bulbs have a major impact on how your home looks and feels. One great thing about a lighting showroom is that you can talk to experts who are extensively trained in all things lighting. We can help you to find the best fixtures for your home, give you unique advice based on your situation, help to guide you towards lighting options that appeal to your personal taste, and more. There’s no way to know how much of an impact you can make on your interior and exterior home lighting until you give it a try. Ready to transform your home? Contact us today, or stop by our showroom in Trussville!